This year Mark will be coming to Orlando from 17th – 20th May to attend our first Association for Talent Development (ATD) Conference – the largest conference of its kind with world-renowned speakers, over 400 exhibitors and thousands of delegates from all over the globe. We would love to use this opportunity to meet potential partners and clients. 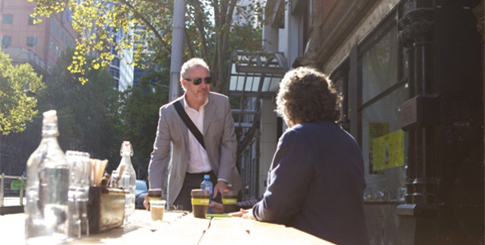 So, if your organisation is interested in equipping its leaders with the skills to tap into the power of storytelling in a business context, and you’d like to hear more, Mark will be spending some time at the Persona Global stand in the Expo Hall. Please do feel free to head his way to say hello and get more information directly from the source.